Sichenzia Ross Ference LLP’s Securities and Commercial Litigation and Arbitration Practice Group strives to solve our clients’ problems by providing the most competent, “hands-on”, and cost-effective approach, whether in prosecution or defense of a matter. Our attorneys have the skill, experience and acumen to assist clients with litigation and arbitration matters nationwide from routine lawsuits to complex cases, including multi-district litigation, injunctive actions and arbitration proceedings conducted through the AAA or various self-regulatory organizations such as the FINRA. We provide clients with the unique combination of experienced and skillful representation expected from the largest law firms along with the competitive billing rates and attention from partners often found at smaller boutique law firms. 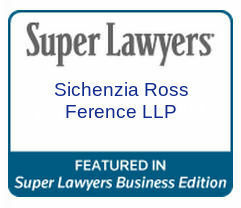 Sichenzia Ross Ference LLP represent public and private corporations, officers, directors, employees and underwriters in securities fraud cases involving federal statutory law and regulations as well as common law claims. We handle cases ranging from straightforward suitability, misrepresentation, churning and unauthorized trading cases, to highly complex cases involving federal and state securities laws, whistle-blower actions and corporate raiding. Given our extensive knowledge and experience in these areas, we have a great deal of success negotiating very favorable resolutions for our clients. We consider our ability to assess the risks of each particular case and to honestly and objectively convey those assessments to our clients to be among our best qualities. As a full service securities law firm, our attorneys have the unique perspective of understanding a broad array of corporate and securities matters which allows us to react in the most effective way if litigation develops with the SEC, FINRA, other Self-Regulatory Organizations or State Securities Regulators. We represent entities and individuals in enforcement or disciplinary actions, as well counsel clients on Wells Notices and Submissions, subpoena responses, depositions and On-The-Record interviews. We also conduct internal reviews and investigations to gather critical information early in the evaluative process of a matter as well as in connection with the SEC or Self-Regulatory Organization investigation.